Professor Abhay Abhyankar joined the University of Exeter Business School from the University of Edinburgh where he was Balllie Gifford Chair of Financial Markets. Professor Abhyankar has previously worked at the Universities of Durham, Warwick and Stirling. He has also held visiting positions at the IDEA, Universitat Autonoma de Barcelona. Prior to joining academia he was a member of the Indian Administrative Service. He is also currently on the Board of Directors of Masters Pharma (India) a new start up. He was on the Board of Roche Scientific Products (India) for the last five years and has also served as Dean in the International Office at the University of Edinburgh. Abhyankar A, Klinkowska O, Lee S (2015). Consumption risk and the cross-section of government bond returns. Journal of Empirical Finance, 32, 180-200. DOI. Abhyankar A, Xu B, Wang J (2013). Oil price shocks and the stock market: Evidence from Japan. Energy Journal, 34(2), 199-222. We study, using a structural vector autoregressive (SVAR) model, the relationship between oil price shocks and the Japanese stock market. We find that oil price shocks that arise from changes in aggregate global demand are positively correlated to returns on the Japanese stock market. Thus, in contrast to the conventional wisdom, a rise in oil price is not always bad news for the Japanese stock market. On the other hand, the Japanese stock market reacts negatively to oil price increases related to oil-market specific demand shocks. Finally, different from prior research using U.S. stock market data, we find that supply and demand shocks in the global crude oil market affect returns to the Japanese stock market index through changes to expected real cash flows rather than to changes to expected returns. Copyright © 2013 by the IAEE. All rights reserved. Abhyankar A, Basu D, Stremme A (2012). The optimal use of return predictability: an empirical study. Journal of Financial and Quantitative Analysis, 47(5), 973-1001. In this paper we study the economic value and statistical significance of asset return predictability, based on a wide range of commonly used predictive variables. We assess the performance of dynamic, unconditionally efficient strategies, first studied by Hansen and Richard (1987) and Ferson and Siegel (2001), using a test that has both an intuitive economic interpretation and known statistical properties. We find that using the lagged term spread, credit spread, and inflation significantly improves the risk-return trade-off. Our strategies consistently outperform efficient buy-and-hold strategies, both in and out of sample, and they also incur lower transactions costs than traditional conditionally efficient strategies. © 2012 Michael G. Foster School of Business, University of Washington. Abhyankar A, Ho KY, Zhao H (2009). International value versus growth: Evidence from stochastic dominance analysis. International Journal of Finance and Economics, 14(3), 222-232. We investigate the value versus growth investment strategies from the perspective of stochastic dominance analysis. Using G7 country data on value and growth stocks, we find that value stocks stochastically dominate growth stocks only for the US, Canada, and Japan, while there are no significant stochastic dominance relationships between value and growth portfolios for the UK, France, Germany, and Italy. Our results imply that the value premium may be country and sample specific. Copyright © 2008 John Wiley & Sons, Ltd.
Abhyankar A, Gonzalez A (2009). News and the cross-section of expected corporate bond returns. Journal of Banking and Finance, 33(6), 996-1004. We study the cross-section of expected corporate bond returns using an inter-temporal CAPM (ICAPM) with three-factors: innovations in future excess bond returns, future real interest rates and future expected inflation. Our test assets are a broad range of corporate bond market index portfolios. We find that two factors - innovations about future inflation and innovations about future real interest rates - explain the cross-section of expected corporate bond returns in our sample. Our model provides an alternative to the ad hoc risk factor models used, for example, in evaluating the performance of bond mutual funds. © 2008 Elsevier B.V. All rights reserved. Abhyankar A, Ho KY, Zhao H (2008). Value versus growth: Stochastic dominance criteria. Quantitative Finance, 8(7), 693-704. In this paper, we study the relative performance of value versus growth strategies from the perspective of stochastic dominance. Using half a century US data on value and growth stocks, we find no evidence against the widely documented fact that value stocks stochastically dominate growth stocks in all three orders of stochastic dominance relations over the full sample period as well as during economic boom (good) periods. However, we observe no significant stochastic dominance relation between value and growth stocks during recession (bad) periods, which is inconsistent with the risk-based predictions but is better explained by behavioural models. © 2008 Taylor & Francis. Abhyankar A, Ho KY (2007). Long-horizon event studies and event firm portfolio weights: Evidence from U.K. rights issues re-visited. International Review of Financial Analysis, 16(1), 61-80. Empirical results, in long-horizon event studies, are sensitive to whether equal- or value-weighting schemes are used to form event firm portfolios. In this paper we propose, as a first step, an evaluation of the economic value to investing in an equal-weighted and a value-weighted event firm portfolio prior to the event study. Using tests for mean-variance spanning we find in our data a significant improvement in an investor's investment opportunity set to investing in an equal-weighted portfolio. We then re-visit the long-run post-offer performance for rights issuers in the U.K. where we find, as in other studies, differences in both the magnitude and statistical significance of abnormal performance for value-weighted and equal-weighted event firm portfolios. We then use the results from our first step to provide an economic rationale for interpreting our results. A general conclusion we draw is that it may be useful to first ascertain, in long-horizon event studies, the economic value of portfolio weighting schemes as this can then provide some guidance to the use of a specific portfolio weighting scheme and thereby to interpretation of often conflicting results. © 2006 Elsevier Inc. All rights reserved. Abhyankar A, Basu D, Stremme A (2007). Portfolio efficiency and discount factor bounds with conditioning information: an empirical study. Journal of Banking and Finance, 31(2), 419-437. Stochastic discount factor bounds provide a useful diagnostic tool for testing asset pricing models by specifying a lower bound on the variance of any admissible discount factor. In this paper, we provide a unified derivation of such bounds in the presence of conditioning information, which allows us to compare their theoretical and empirical properties. We find that, while the location of the 'unconditionally efficient (UE)' bounds of [Ferson, W. Siegel, A. 2001. The efficient use of conditioning information in portfolios. Journal of Finance 56 (3), 967-982] is statistically indistinguishable from the (theoretically) optimal bounds of [Gallant, R. Hansen, L. Tauchen, G. 1990. Using conditional moments of asset payoffs to infer the volatility of intertemporal marginal rates of substitution. Journal of Econometrics 45 (1), 141-179] (GHT), the former exhibit better sampling properties. We demonstrate that the difference in sampling variability of the UE and GHT bounds is due to the different behavior of the efficient return weights underlying their construction. © 2006 Elsevier B.V. All rights reserved. Abhyankar A, Chen HC, Ho KY (2006). The long-run performance of initial public offerings: Stochastic dominance criteria. Quarterly Review of Economics and Finance, 46(4), 620-637. We examine the long-run performance of initial public offerings (IPOs) using the idea of stochastic dominance. The analysis is a first attempt using a non-event study methodology to evaluate long-horizon performance. We find that there is no first-order stochastic dominance relation between the IPO portfolio and the benchmark of a broad index or a portfolio including either small size or low book-to-market stocks. However, those benchmarks second-order stochastically dominate the IPO portfolio. When using a portfolio including both small size and low book-to-market stocks as benchmark, there is a clear dominance of the IPO portfolio over the benchmark for both orders. Our findings generally imply that the question of assessing portfolio performance between IPO firms and benchmark portfolios depends critically on the specific construction or the cumulative distribution function of the benchmark portfolios. The empirical results also potentially explain the extent of sample dependent results in the literature. © 2006 Board of Trustees of the University of Illinois. Abhyankar AH (1995). Trading-round-the clock: Return, volatility and volume spillovers in the Eurodollar futures markets. Pacific-Basin Finance Journal, 3(1), 75-92. Using intra-daily data this paper investigates the inter-market transmission of returns, volatility and trading volume, between the Eurodollar (ED) futures markets of the CME and the SIMEX. The sample is unique in that the same contract is examined, in two markets with non-overlapping time zones, providing an unbiased test of inter-market transmission effects. The results suggest the existence of a lagged spillover effect in the mean return from the CME to the SIMEX but not vice-versa, though there are symmetric spillovers in lagged return volatility. We also find that the volume in the market that has earlier traded has a significant impact on the conditional volatility of the market that follows. © 1995. Garcia Ares P, Filippou I, Abhyankar A, Haykir O (2018). Overcoming Arbitrage Limits: Option Trading and Momentum Returns. In this paper we find that the decline in the momentum profitability is driven by option trading. Momentum profits arise from the short leg and therefore on barriers to short selling. We find strong evidence that the presence of stock options creates alternate avenues for short selling, augmenting the stock lending market, thus contributing to improved pricing efficiency. However, when option trading becomes expensive, there are more barriers to short selling and the short position offers lower returns. Our results are robust to exogenous changes in short selling due to Regulation SHO and are supported by other short-leg depended anomalies. Tharyan R, abhyankar A, Garcia Ares PA (2017). Comparing Empirical FactorModels: What can Tests for ModelMisspecification Tell Us?. Comparing Empirical FactorModels: What can Tests for ModelMisspecification Tell Us? to potential model misspecification of these empirical factor models. Carhart four factor model is a good baseline model. Tharyan R, Abhyankar A (2015). Macroeconomic Fundamentals, Expected Returns and the Pricing of Anomaly Portfolios. The consensus is that asset pricing models with macroeconomic factors perform poorly, relative to firm characteristic-based factor models, in explaining the cross-section of stock and bond returns. This is a disconcerting result given that the “central task of asset pricing” is to demonstrate the link between macroeconomic sources of risk and asset returns. We propose a model with a set of factors that mimic fundamental sources of risk in the economy. Our factors are extracted using a novel stock-level sort that preserves the relation between stock returns and macroeconomic variables. Our model performs at least as well as standard characteristic-based factor models in explaining the cross-section of common benchmark and anomaly portfolio spreads. Taken together, our evidence shows, in contrast to a much of the prior literature, that macroeconomic factors do play an important role in explaining the cross-section of risk in stock and bond markets. 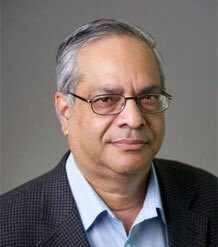 Abhyankar ABHAY, Garcia-Ares PA (2014). Dividend Growth Predictability: Isn’t it There?. Dividend Growth Predictability: Isn’t it There? the biggest earnings or pay the largest dollar dividends. Abhyankar A, Zhang X (2014). Leisure, Consumption and Long-run Risks: an Empirical Evaluation. innovations to future leisure and consumption growth as factors. Abhyankar A, Gonzalez A, Klinkowska O (2013). Currency Carry Trade Risk Premia and Consumption Risk: Does Incorporating Conditioning Information Help?. Currency Carry Trade Risk Premia and Consumption Risk: Does Incorporating Conditioning Information Help? We use a standard consumption-based asset pricing model that incorporates conditioning information, to explain the risk-return profile of currency carry trade portfolios. Our conditioning variable is a measure of external imbalances that arises from an intertemporal budget constraint and has predictive power for exchange rates. We find that this consumption CAPM is able to price the variation in cross-section of carry trade portfolios well using cross-sectional as well as time series regression-based tests. Taken together our results imply that the consumption-based models have a role to play in explaining currency carry trade risk premia.